jabongworld.com is an worldwide online shopping website. Jabong.com is an Indian fashion and lifestyle e-commerce portal. They are selling apparel, footwear, fashion accessories, beauty products, fragrances, home accessories and other lifestyle products online. Buyers from all over the world can buy these product from Jabongworld. Their shipping partners are DHL, Fedex, Aramex, Skynet, GreenDot. Jabongworld can urgent delivery your products with in very short time if you need. You have to pay extra charge for urgent shipment. You can pay to jabongworld via visa/master card or paypal. 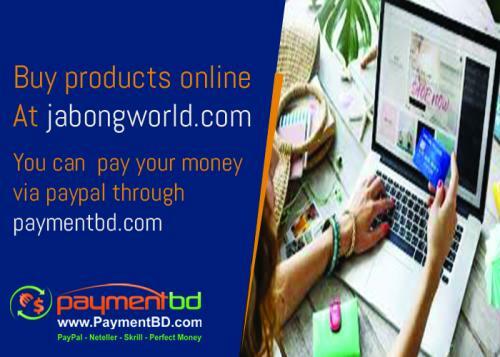 From Bangladesh you can pay via Paypal or master card through PaymentBD.com .